Coupgon has a hot new freebie this week for their members! 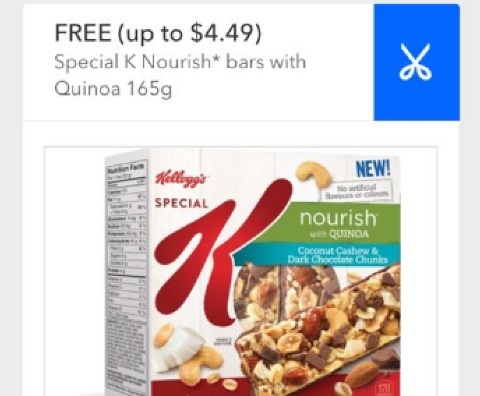 Get a Free Special K Nourish bar with Quinoa 165g (up to $4.49 value) when you redeem the offer below on their app! Coupgon must be presented for each product purchased. Not all items are available at all stores. Can only be redeemed using the Coupgon mobile app. Offer available for a limited time (7 days at time posting).